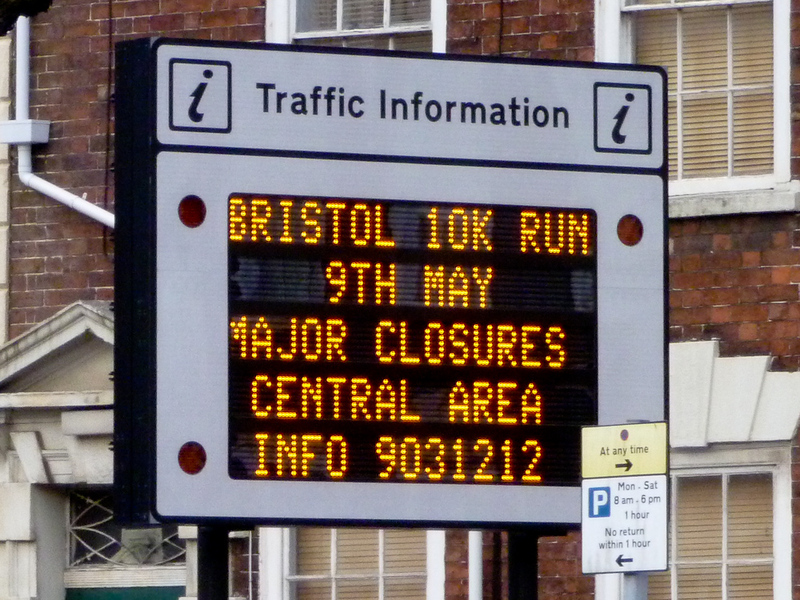 The Bristol 10K is approaching. It’s on road signs now, so it must be official! My plan to do a few runs in this penultimate training week is going well; I got out for another 5K this evening. I also managed to get to the other side of the river before the high tide and the bridge swing separated the north from the south, so it was out along the towpath and away from the traffic. Much more civilised. Also, at the suggestion of a couple of friends on Twitter, I checked out Blacks for technical tops in large sizes, and at least found a couple claiming to be XXL rather than XL, with one that even looked as if it might not be in the desperately unflattering figure‐hugging style they mostly seem to come in. Hopefully they’ll arrive in time for me to try them on, and try running in them before the 10K. So, I’ll probably do one or two runs before the race, maybe getting out on Saturday and Monday, seeing as it’s a Bank Holiday. I’ll definitely check back in here before the race, whatever happens… See you then!